Upper Bann MLA Dolores Kelly has called for an emergency meeting of the NI Assembly’s Executive to discuss the flooding problems. 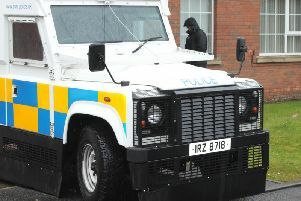 The SDLP MLA said the Executive needs to address the flooding that continues to affect areas across Northern Ireland. The latest incident occurred today when four businesses were left underwater at Kinnego Marina outside Lurgan. The first meeting of the Executive is due to take place on the 21st January. Speaking from the scene Mrs Kelly said: “Where the Environment Minister Mark H Durkan has acted decisively, releasing funds to help residents left devastated by the extreme weather, his Executive colleges are yet to show any initiative. Indeed they have shown no intention to act on Minister Durkan’s call to extend this funding to local businesses and community facilities. “In my own constituency four businesses have been left underwater at Kinnego Marina with 20 employees left out of work while they await assistance. “Many are asking questions as to why the lock was not opened despite advance warning that torrential rain was expected. “Many are also asking that while George Osborne has already released £51m to help people in Cumbria, why are some of our Ministers are content to sit on the £1.3m they have received until well into January? “There is a real danger that these funds will be scattered between the Departments of DUP and Sinn Fein with no consideration as to where this money is really needed. “Mr Durkan has already written to request an emergency meeting of the Executive to address the flooding that has wrought havoc across the North. They must release the £1.3m we received to support Minister Durkan’s initiative to extend funds to businesses.